On 28 June 2016 the Scottish Government published its Education Delivery Plan: Delivering Excellence and Equity in Scottish Education. Common Ground Mediation is pleased to announce that our mediation service is now available in Dundee City, Angus, and Perth & Kinross Council areas. We also offer independent mediation in City of Edinburgh, Midlothian, West Lothian, East Lothian, Dumfries & Galloway, North Ayrshire and East Ayrshire. The service is FREE for parents and carers of children with additional support needs, and its aim is to help resolve disagreements between parents and their child’s school and/or local education authority. 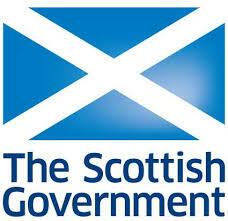 In March 2016 the Scottish Government published the 2015 report on the implementation of the Education (Additional Support for Learning) (Scotland) Act. As well as presenting figures and statistics regarding children with additional support needs in Scottish schools, the theme of this year’s report is implementation of the Act in relation to mental health in schools. The Scottish Government has published new and revised information about what GIRFEC means for children, parents and families; and those who work in children’s and adult services. At the heart of GIRFEC is a commitment to ensuring that every child and young person in Scotland is safe, healthy, achieving, nurtured, active, respected, responsible and included. GIRFEC impacts significantly on how statutory and voluntary service providers develop their services. Read the most recent draft Statutory Guidance here. In October 2015 CADRE (Center for Appropriate Dispute Resolution in Special Education) held their sixth national symposium in Eugene, Oregon. The title of the symposium was ‘The Evolving Landscape in Special Education Dispute Resolution’. Mediation was introduced into the US education system in 1997 through IDEA, the Individuals with Disabilities Education Act, and this year nearly 300 delegates from across US attended the symposium. Information about all the speakers and sessions is available here. Session 8.5 is the Common Ground Mediation presentation ‘The Tartan Connection’. Scotland’s Commissioner for Children and Young People has recently written to the Cabinet Secretary for Education and Lifelong Learning to raise concerns about the education of children with additional support for learning (ASL) needs. Follow this link to read the letter. The Education and Culture Committee of the Scottish Government has recently undertaken a year long piece of work on how to tackle the large difference in average school attainment in the most and least deprived areas of Scotland. More information is available here. One topic to to be discussed is how parents and schools can best work together to raise all pupils’ attainment. In connection with this the Committee is running an on-line survey seeking parents’ views about how schools work with them to support their children’s learning. The survey closes on 7 March 2015. At the end of 2014 Skills Development Scotland launched a new website for parents My World of Work with lots of information to help them advise their children about different careers and further learning opportunities. There is a section with advice and information for parents of children with additional support needs. Dyslexia Awareness Week is an annual national event that aims to raise awareness of dyslexia, but also to celebrate the amazing achievements of people with dyslexia. The theme of this year’s event is Dyslexia Matters………..
At school and at work, making the environment dyslexia friendly can benefit everyone. Events are taking place all over Scotland this week. More information is available on the website of Dyslexia Scotland.